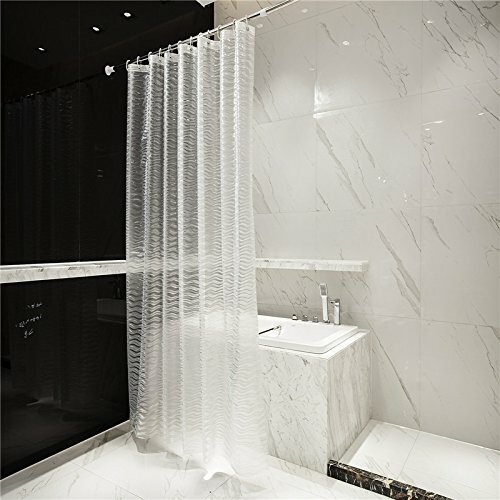 Home » Home & Kitchen » Shower Curtain » Adwaita Shower curtain 3D circle design transparent 180cm*180cm with 3 magnets at the bottom and 12 hooks included. 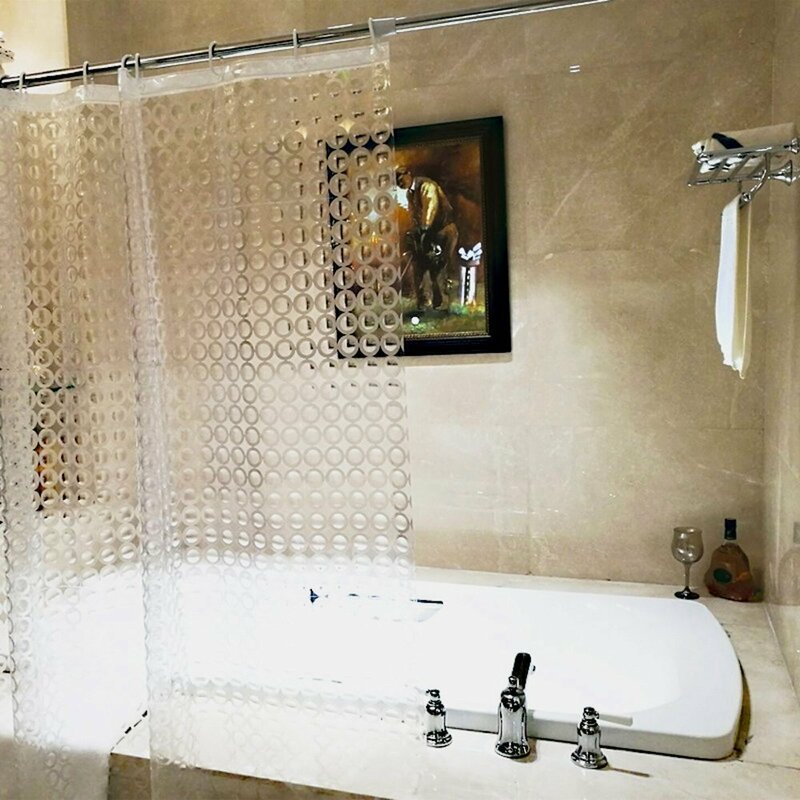 Adwaita Shower curtain 3D circle design transparent 180cm*180cm with 3 magnets at the bottom and 12 hooks included. 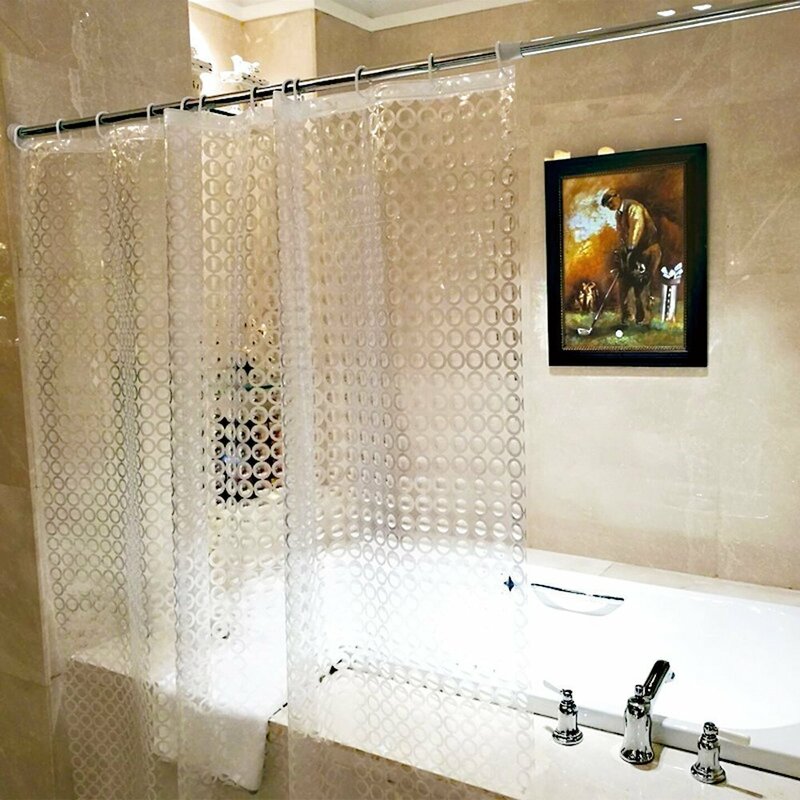 HEAVY DUTY- Adwaita Magnet 3D circle shower curtain is especially designed for our customers who strictly requires on the heavy duty of the shower curtains. We choose extra thick EVA material on this shower curtain with 3 magnets on the bottom to give extra weight. It is designed to relieve your troubles of the shower water, wind blow. ECO-FRIENDLY EVA MATERIAL which is PVC-free, Chlorine-free, odorless, anti-bacterial and mildew-resistant, soft touch. 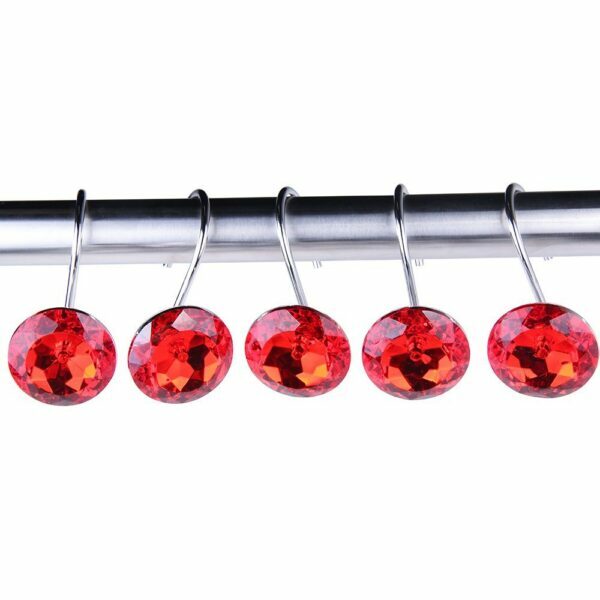 It is the material which is also widely used for baby’s toy. SPECIAL DESIGN & RUSTPROOF GROMMET- Special designed 3D circle effect gives the right amount of decoration to your stylish bathroom, and the grommets are made of rustproof material, and you will never worry about the rust problem. STANDARD SIZE AND EASY CARE- 72”*72″ standard size fits standard size bath. 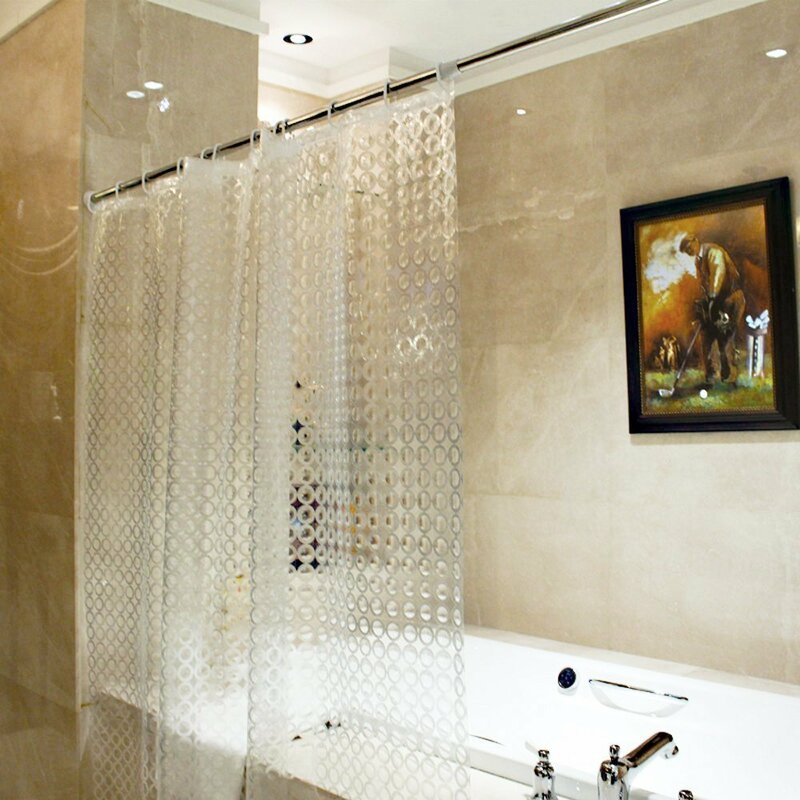 Transparent material could be used as shower curtain alone or behind the fabric curtain of your choice. Easy wipe clean to prevent mildew and hard water stains! -Note: This shower curtain is without anchors applied at the bottom. Adwaita Direct is the owner and the only authorized seller of Adwaita products. If you have questions or requirements about our products, please contact our sales service team, and we will do our best to solve your problems. If you receive any defect products, please contact us, we will immediately replace a new one or refund the payment to you. So order now, when you open you package, I’m sure you will be surprised by its attractive patterns and soft touch and there will not be any toxic odors of any kind. 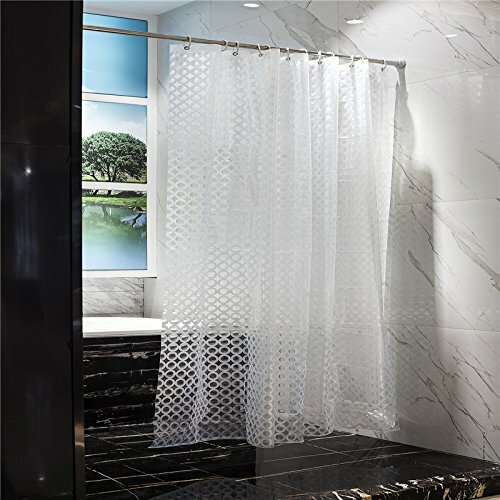 Please note that Adwaita shower curtain is manufactured by Adwaita Company Limited with registration number- in US, and we didn’t authorize any other sellers to sell Adwaita product on Amazon. Please ensure the seller is “Adwaita Direct” when you add into cart. If you bought any low quality shower curtain which doesn’t match the description and pictures, please let us know or report to Amazon. We will fight for the infringement and protect our customers’ interest.